Here you'll find information on my most recent books. My latest three books are written as ebooks so you can order and download them immediately. New! Download for free here! Record numbers of people are being contacted by debt collectors. 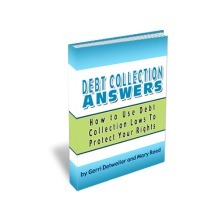 Gerri Detweiler's most recent ebook, Debt Collection Answers: How to Use Debt Collection Laws to Protect Your Rights can help. It's designed to help you learn how to negotiate with collectors so you can put your debts behind you. If you are being harassed by debt collectors, this book is for you. Debt Collection Answers has been featured in numerous media stories including The Los Angeles Times, The Detroit Free Press, CNN and MarketWatch. 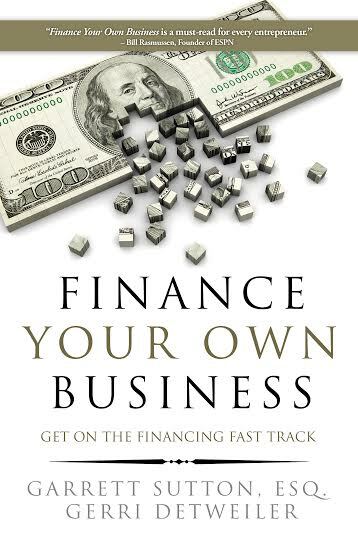 My brand new book written with best-selling small business attorney and Rich Dad advisor Garrett Sutton will help you find the financing your business needs to grow! You'll learn how strong business credit scores can help you get better financing and avoid personal guarantees. More importantly you'll learn how to build yours. Plus you'll find all kinds of new opportunities for financing, even if you don't have perfect credit. Small business financing is changing rapidly and this guide will help you navigate those changes successfully. 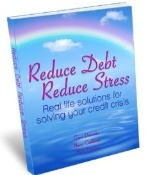 Reduce Debt, Reduce Stress, was written with co-authors Marc Esenson and Nancy Castleman, and is designed to help you find a solution for your credit crisis. Starting with a simple effective "Debt Triage" char, you'll learn which options for conquering debt can work for you, including debt consolidation, credit counseling, debt settlement and more. You'll then find ways to get healthier financially. The book is filled with real-life stories that are also designed to help bring the concepts in the book to life and encourage you along the way. Our goal with Reduce Debt, Reduce Stress is to give you clear, step-by-step advice for navigating tough times. 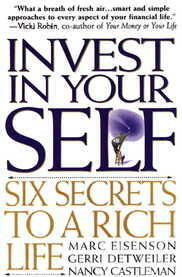 Also written with Marc Eisenson and Nancy Castleman, Invest In Yourself explains how to create the right investment portfolio - not just of stocks and bonds, but one that includes key investments that you make in yourself and in your family. Like any good portfolio, the best investments you can make in yourself are diversified, carefully managed, and geared to the long term. While there are no "one-size-fits-all" formulas for the good life, we're convinced that everyone can change direction and make their dreams come true. Sometimes, all it takes is a bit of fine tuning. At other times, major modifications may be in order.